ISLAMABAD: Speakers at a seminar here on Friday stressed that Islam is the religion of peace as it teaches unity, harmony, brotherhood and tolerance in the society. The ‘Paigham-e-Pakistan’ seminar was organized by the Islamic Research Institute (IRI) of the International Islamic University Islamabad (IIUI) at the Faisal Mosque campus. Deputy Sheikh and Senior Advisor to Grand Imam of Al-Azhar Institute Egypt Dr Muhammad Mohanna was the chief guest on the occasion. A large number of students and faculty members from the IIUI participated in the ceremony. Addressing the participants, Dr Mohanna said Paigham-e-Pakistan initiative of the government of Pakistan was the best tool to deal with growing extremism and intolerance in the society and to encourage the youth towards positive and constructive activities. “It is a beacon of hope for all segments of society,” he said, adding that the document is the best depiction of Quran, Sunnah and social principles of the Islamic Shariah. “This initiative can guarantee a safe and peaceful future for our next generations by ridding the society of hatred and prejudices,” he added. Other speakers stressed that Paigham-e-Pakistan initiative was in fact a description of the Holy Quran and Sunnah. “Promotion of this initiative is the national and religious obligation of the ulema and mashaikh belonging to all sects and religious groups,” they said, and added that being Muslims it was their national and religious responsibility to strive for setting up a peaceful and exemplary society which was free of bigotry and racism. “Every individual of the Muslim Ummah will have to play his part to achieve this goal,” they added. The speakers stressed the need for a concerted effort to disseminate the message of Paigham-e-Pakistan initiative among all segments of the society across the country. They urged the participants of the conference to fulfill their human and religious obligation of promoting peace, tolerance, brotherhood and unity in the country. The speakers said that Paigham-e-Pakistan narrative was key to countering extremism from the society and a way forward for the country to march on the path of peace and prosperity. They highlighted positive outcomes of the narrative and emphasized upon the participants to contribute towards dissemination of the message to foil evil plans of enemies who wants to divide the nation on sectarian, ethnic and linguistic lines. 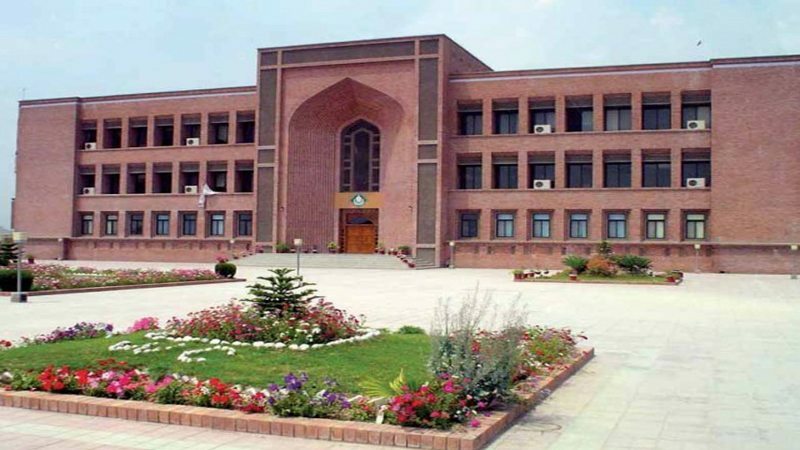 The Islamic Research Institute (IRI) of the International Islamic University Islamabad (IIUI) has already established the “Paigham-e-Pakistan Center for Peace, Reconciliation and Reconstruction Studies” to conduct research studies on peace, reconciliation and reconstruction. The government launched the Paigham-i-Pakistan project earlier this year in order to address the challenges posed by extremism and sectarianism through a national narrative which also portrayed a soft and positive image of Pakistan and highlighted Islam as a religion of peace, brotherhood, tolerance and harmony. The initiative was also endorsed by Imam-e-Kaaba and the Grand Mufti of Egypt. Published in Daily Times, September 8th 2018.